Conceived more than fifty years ago by renowned architectural historians Robert Winter and the late, great David Gebhard, this seminal vade mecum of Los Angeles architecture explores every rich potency of the often relentless, but sometimes relenting L.A. cityscape. Beyond an effort of exploration, the guide is an outfit of discovery. And it always has been. When tourists visit, architectural scholars land at LAX, or locals just want to know, they grab the same book: Gebhard and Winter's An Architectural Guidebook to Los Angeles. Word. First published in 1965 by Los Angeles County Museum of Art as an architectural overview (when few American cities had such a democratic compendium), the Gebhard and Winter guide has evolved to become the veritable "bible" of built Los Angeles. 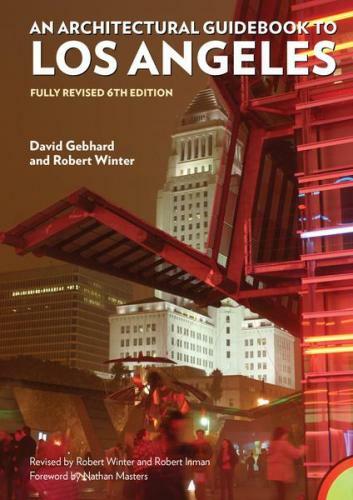 This sixth edition has been extensively revised and edited by Dr. Winter and his trusted collaborator, the award-winning L.A. urban walker Robert Inman.